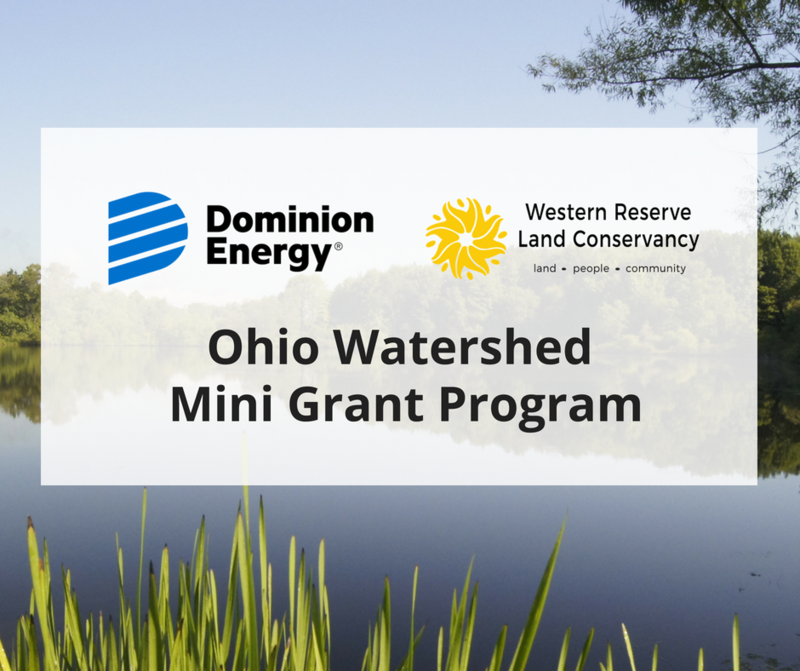 Western Reserve Land Conservancy is happy to announce that for a fourth straight year grant funding will be available to Ohio’s small working watershed groups through the Dominion Energy Watershed Mini Grant program. 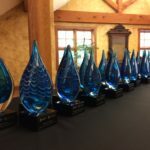 Groups that work to protect water quality and watersheds throughout Ohio are encouraged to apply for grants of up to $5,000. Spotlight Project: A special grant award, up to $5,000, will be made in support of a larger water quality or restoration projects. To be considered, projects must include at least 10 percent matching funds. In order to be eligible for any of the available grants an organization must be a watershed group based in one of Ohio’s 88 counties. The applicant must be a qualified nonprofit, tax exempt organization with a Federal Tax ID Number or be working with a qualified fiscal sponsor – a nonprofit or a county soil and water conservation district. New applicants must contact Western Reserve Land Conservancy to discuss their project to ensure eligibility. Returning applicants and past grant recipients are free to submit applications providing all previous grant projects are on track or reporting requirements fulfilled. The program, funded by Dominion Energy and administered by the Land Conservancy, is entering its fourth year. 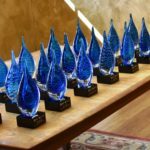 Since its inception in 2015, more than $105,000 has been awarded to 30 watershed groups across the state. 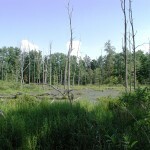 The Ohio program is patterned after a similar Dominion-backed grant initiative in Pennsylvania. Dominion partners with Western Pennsylvania Conservancy on that program to enhance watersheds in Pennsylvania. Please find the application below. The deadline for submitting completed application is Wednesday, July 25, 2018. No applications will be accepted after the deadline. Click here to access the 2018 Dominion Energy Watershed Mini Grant Program Application. Click here to access fill-able PDF forms to submit with your application.